Felicity Jones is a famed British actress who is renowned for starting as a child actress and having made a successful career. Felicity has won various awards for her acting prowess till date. Felicity Rose Hadley Jones was born on the 17th of October, 1983 in Bourneville, Birmingham. She was born to Gareth, a former journalist, and Julia Jones, who worked in advertising. She is the niece of actor Michael Hadley. Felicity also has a younger brother. Felicity attended the King Norton Girls’ High School and went on to complete her A-levels at the King Edward VI Handsworth School. She then took a gap of a year and then went on to attend graduation from the Wadham College, Oxford in English. Felicity was active in student plays while studying at the Wadham College. In 1994, Felicity began her acting career at the age of 11 years at the Central Television-funded Central Junior Television, an after-school workshop initiative. Felicity appeared in the 1st series of The Worst Watch. In 2001, Felicity returned as Hallow in the Weirdsister College, when it began. One of Felicity’s most memorable roles will be as Emma Carter on the BBC Radio 4 soap opera The Archers. In 2003, Felicity starred in the BBC drama, Servants, as Grace May. In 2007, Felicity appeared in the leading role in ITV’s adaptation of Jane Austen’s Northanger Abbey. The same year, she also made her stage debut in That Face, by Polly Stenham at the Royal Court Theatre. In 2008, Felicity appeared in the movies, Flashbacks of a Fool and Brideshead Revisited. She also appeared in The Unicorn and the Wasp, a Doctor Who episode. Felicity was also the star of The Chalk Garden at the Donmar Warehouse Theatre, London. In 2009, Felicity appeared in some TV productions, including The Diary of Anne Frank, a 5-part TV series, where she played Margot Frank, on BBC One. In 2010, Felicity starred in Cemetery Junction, as well as in Soulboy and as Miranda in Julie Taymor’s The Tempest. In early 2011, Felicity won acclaim for the hard work she put herself through to be ready for the role in the romantic comedy, Chalet Girl.In 2014, Felicity co-starred in The Amazing Spiderman – 2 as Felicia Hardy, the assistant of Harry Osborn. 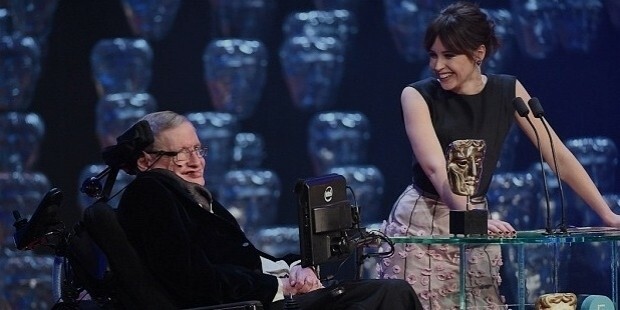 In the same year, Felicity also starred as Jane Hawking in The Theory of Everything, a biopic on astrophysicist, Stephen Hawking. This role not only won her widespread critical acclaim but also won her several awards for her brilliant performance. In 2015, Felicity gave another excellent performance in the latest Star Wars movie, Rogue One under director Gareth Edwards. In 2013, Felicity broke up her relationship with her partner for ten years, Ed Fornieles, an Internet artist, and a sculptor. The couple met at Oxford where Ed was a student at the Ruskin School of Art.